First, when we registered her in the February before the fall when she entered kindergarten the form specifically asked if there were any medical conditions they should be aware of and if she needed medical attention. I checked yes and wrote “Type 1 diabetes” on the form. So the school district knows FIVE months in advance that they have an incoming kindergartener with diabetes, yet in the weeks leading up to the first day I was calling all over the district leaving messages trying to talk to someone, anyone, who could tell me if there was going to be a nurse at school for luncthime the first day. I will say that the district seems to have gotten their act together a little because we received a long form to fill out about her diabetes regimen in advance of this school year. But I do not know if new students received this or just ones who had seen the nurse the year before. In all honestly a daily vegetarian option would be grand, but that’s due to our family’s chosen lifestyle of (almost) vegetarianism and not because she has diabetes. You may wonder why I am bringing all of this up, halfway through the school year. I do have a point. On a Friday I got a call from the substitute nurse about 1:00 pm saying that Q didn’t feel well and her blood sugar was in the 400’s. FOUR HUNDREDS! I was kind of critical of her because really, there is no reason for Q to ever be in the 400’s unless she is extremely sick or isn’t getting insulin. I asked if she was sure that Q got her bolus at lunchtime. She said yes. Since her lunchtime insulin hadn’t peaked I was nervous to give her the full 2.25 units that her pump suggested as a correction. I was so afraid that she was going to crash straight down. I advised to give her 1 unit. It was almost the end of the school day at this point and I wanted to wait it out just a bit. When I got off the phone I had a terrible feeling about the whole thing. I hopped in my car and drove the five minutes to her school. I took her pump bag off the shelf in her classroom and scrolled through the records. She had in fact gotten a bolus at lunch. I checked her blood sugar and she was coming down so I didn’t think the pod was the issue. By afternoon snack she was back in range. Actually at the low end of her normal range. But good. So why this crazy spike? I was perplexed. I had just been reading in Ginger Vieira’s book Your Diabetes Science Experiment* that there is an explanation for every high and low blood sugar. I needed to find out for myself why this happened. My first piece of evidence was her lunch slip that I send in every day. Lunch consisted of pizza, salad, milk, and juice. JUICE. That had to be it. Federal school lunch standards state that juice is considered a fruit (much like in the Reagan administration they tried to pass off ketchup as a vegetable, which is funny on two levels because tomatoes are fruit!). So the school district is within it’s rights to serve it, no matter how much I disagree with juice being a substitute for real fruit. And even more, what kid, any kid really needs milk and juice at lunch? Did I mention that both chocolate and pink milk are offered alongside white milk every day?! I am 99% sure that the huge spike into the 400’s was the juice. She has pizza at school every Friday and it hasn’t been a problem. The only variable was the juice. So I e-mailed the Director of Food Services and asked if my daughter could have fruit on days that juice is served because she just can’t drink it. They are allowed to make substitutions for children only after they’ve received and approved a letter of medical necessity written by the child’s doctor. B.) Really? A letter from our doctor. As if the endo doesn’t have enough to do. As if I don’t have enough to do. Ugh! The first time juice was served after our letter of medical necessity was submitted and approved, I wanted so badly to sit back and watch what happened. Would they remember to send a piece of fruit over to my daughter’s school? Would the director give the nurse the carb count? But being the control freak that I am, I e-mailed the nurse and the director of food services and reminded them that Q needed a piece of fruit. After school I asked Q if she got fruit instead of juice. She said she did, but she was so disappointed that she didn’t get to drink the juice. Oh well. I can’t win! *Disclosure: I received a copy of Your Diabetes Science Experiment for review consideration. As if us parents of children with diabetes have the extra time or the energy to actually read a book, I’m giving it my best shot to read (or “read”) 50 books in 2011. Visit my 2:00 AM Book Club page to see all of the books I’ve read in 2011 and those that are on my list. Here are the books I’ve read so far. Ah-Kim, or Kimberly to her American friends, and her mother come over from China. When her aunt disappoints them and thrusts them into a life of poverty, living in an abandoned building without heat and working in a clothing factory, Kimberly manages to somehow overcome the odds by excelling in school. I won’t tell you whether she pulls herself and her mother out of poverty or if it holds her back. This was an enjoyable book and I will probably seek out more books by this author. The narrator had the perfect Chinese-American accent to make the story seem as if was really being told by the main character. Purchase Girl in Translation from my affiliate Barnes & Noble. It’s also available as a NOOK Book. This is by the same author of The Devil Wears Prada. It’s the story of a seemingly happy couple. Brooke works two jobs to help her husband Julian spark his music career. Of course when he gets a recording contract and hits the road, the time and distance away from one another causes problems. The conflict that arises is predictable and the story probably could have been condenses a little. The narrator’s voice is a bit ordinary, but maybe that helps prove the point that she was an everyday kind of person before her husband became famous. But it was an enjoyable read full of mentions of contemporary celebrities. Purchase Last Night at Chateau Marmont from my affiliate Barnes & Noble. It’s also available as a NOOK Book. I don’t read too many novels told from the male perspective or narrated by men. Not sure why, maybe it was all of those college years when I was a Women’s Studies minor and took lots of literature classes focused on women. Jacob is in the last days of his college career at an Ivy League school when something terrible happens. He walks away and jumps onto a moving train just to get away. Little does he know that this is a circus train and that joining the circus will change his life and help determine who he becomes. 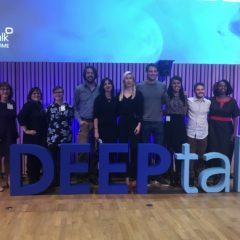 Told by two male narrators, one younger and one much older, we hear the story from Jacob’s perspective, both as it happens and as a reflection. Attentive readers may realize half way through what will happen in the end (to both young Jacob and old), but you’ll want to keep reading as the events unfold leading up to the crescendo. Purchase Water for Elephants from my affiliate Barnes & Noble. It’s also available as a NOOK Book. The movie will be available on DVD and Blu-ray beginning 11/01/11. This book is written by DOC member Ginger, who if you interact with on Twitter, FB, her blog, or IRL as I have, you will agree she is such an awesome person with a great attitude and positive outlook. Look for a more thorough book review soon! I found this book to be a little ho-hum. Has Charlaine Harris run out of ideas and out of steam? It was quick and light, as all of her books are, so it’s served it’s purpose to entertain. I think there are only a couple more books in the series, so I’ll keep on going with them. Purchase Dead in the Family from my affiliate Barnes & Noble. It’s also available as a NOOK Book. Book descriptions are from Barnes & Noble. Links to bookstores are affiliate links and are provided so that you can find the books easily. I personally utilize the public library quite a bit, especially for audiobooks and fiction. I received titles marked with an asterisk (*) free of charge for review consideration. Please read the disclosure statement regarding affiliate links. 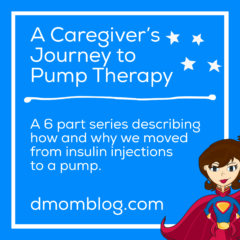 Stephanie of My Life as a Pancreas recently mentioned that she was reading Pumping Insulin: Everything You Need for Success on a Smart Insulin Pump in preparation of their pump start date. I have not read that particular book; I hear it’s a bit heavy. 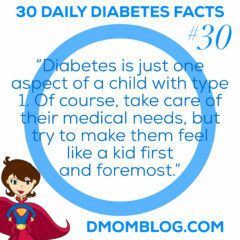 Perhaps more advanced than parents of children with diabetes really need and more for the CDE crowd. Maybe it would help put me back to sleep at 2:00 am. 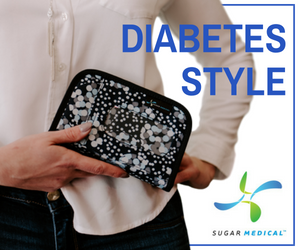 A book that was suggested to us is Understanding Insulin Pumps and Continuous Glucose Monitors. 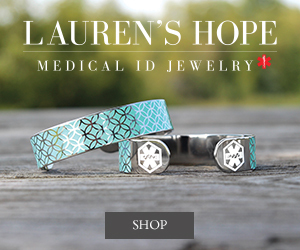 It is not very widely available and can be purchased from the Children’s Diabetes Foundation at Denver. When I read the book while we were waiting for our pump to get insurance approval, I was able to download it in PDF format. The downside is that the files are individual chapters, but that’s okay because I read it from my phone on a camping trip while my then two-year-old took naps. You can download the electronic resource in PDF format from Colorado State Publications Library Digital Repository. You can read it on your computer or from a device, but it is protected from printing out. For me this book was the perfect amount of information–not too little, not too much–to get me prepared to start the insulin pump and demystify basal rates, the risk associated with DKA with regard to the pump, etc. “Dad, can I still do everything?” I asked. “Yes, my boy, you can still do everything,” he said. “Even ride my bike, take snowboarding lessons, and have birthday cake?” I asked. “Of course you can!” said Dad. My daughter has been saving the world since the age of 3 when she decided to be “Super Q” for Halloween and created a super hero* based on her own secret identity. So of course she loves anything that combines diabetes and super heroes. When Q was diagnosed, I looked at the local library and they didn’t have any books for children her age that had just been diagnosed. We’ve found a few since. 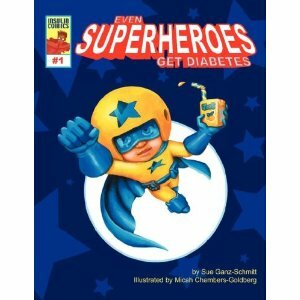 We recently received a review copy of Even Superheroes Get Diabetes. This is the story of a little boy who fantasizes about being a superhero. One day he gets diagnosed with diabetes, spending a few days in the hospital before returning home to a life of finger pricks and injections. After a while he goes to see a special doctor who determines that the child has a very rare medical condition that actually gives him super powers. The two of them help diabetic children in need throughout the world. 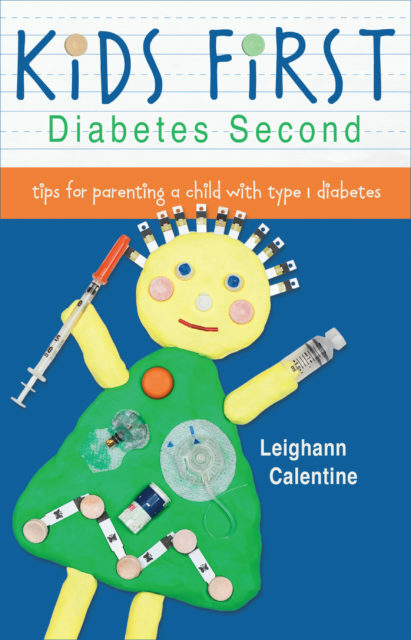 I will caution this (and sorry, but it’s a spoiler): if your child does not have an insulin pump and you are not thinking seriously about getting one any time soon, this may not be the book for you. Kelvin gets his super powers when he gets his pump. This may be a downer for kids on MDI because they may feel that they can’t have super d-powers without having a pump. 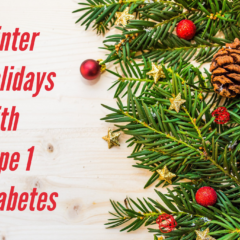 The book may be more aptly titled “Even Kids with Diabetes Can Be Superheroes” because a super hero doesn’t get diabetes, he becomes a superhero after getting diabetes. Semantics. The last line is hard for me to read every time. Just like the Rufus story still chokes me up after two years! The book does a good job of representing a child getting sick and being diagnosed. The end of the book includes an illustration of how the pancreas works as well as a glossary of diabetes terms. Overall it’s a good book for children with diabetes (with the caveat about the pump) and my six-year-old superhero enjoys reading it. Purchase Even Superheroes Get Diabetes from my affiliate Barnes & Noble. The author sent us a review copy of this book. Please read the disclosure statement. Opinions are my own.